There is no “nipping over” to Neos. You've got to really want to go there and commit to it. It takes more than a single elevator to get to its doorstep. But once you do, it's worth the hike. 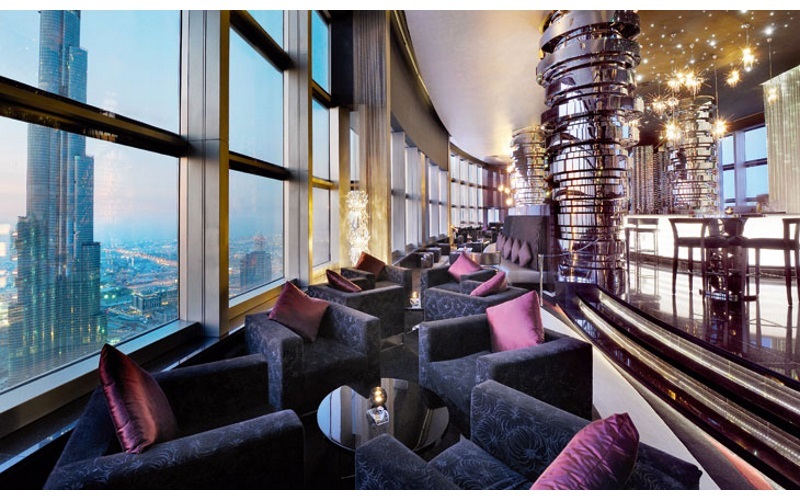 Towering on the Address Hotel's 63rd floor, the glamorous view will shoo that pesky vertigo away. Catch the Dubai Fountain show from the best angle and rub shoulders with Dubai's leading socialites. MenuPages.ae recommends: Oysters, signature meat platter, and the Tom Yum Collins cocktail. Good to know: After three years off grid, Neo has bounced back in action! Apartment dwellers flock to The Backyard for its authentic backyard vibes. Kick back on the grass, sink your teeth into street food at a picnic table or snuggle down in a beanbag. 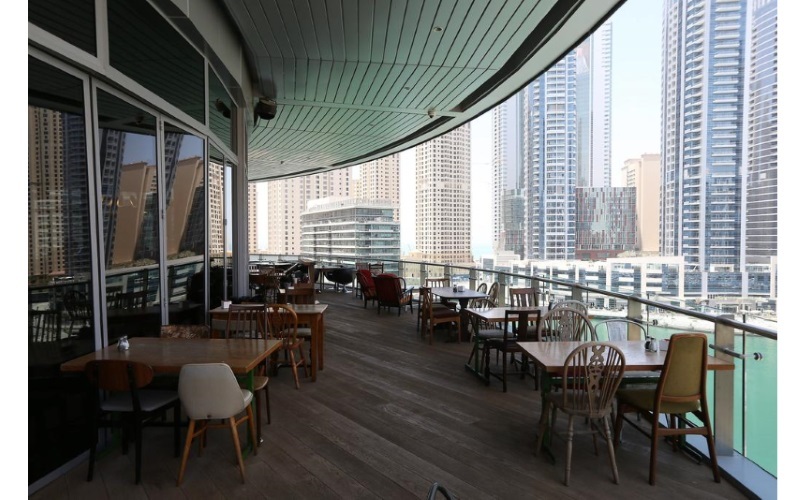 Tucked in a cozy corner of Business Bay, enjoy Instagram-perfect views of Downtown Dubai. Boasting a chill vibe, The Backyard is a “teeshirt and jeans” kind of joint. Come for the views, stay for the vibes. MenuPages.ae recommends: Backy's Alphabet Soup cocktail, Ichi burrito and the halloumi chips. Good to know: Hit up The Backyard for an offbeat shisha social under the stars. Make memories over a candlelit seafood dinner against a stunning backdrop of new Dubai. If you love bubbles, anchor yourself at Lounge 101's fabulous new dedicated champagne bar. Raise a glass to unforgettable sunsets with its bespoke selection of premium vintages. MenuPages.ae recommends: Charcoal octopus, kampachi fillet and the Finding Nemo cocktail. Good to know: A perfect venue for a romantic dinner date or a special proposal. From sunset sessions to moonlight magic, Cielo has a penchant for fun parties and charming alliterations. Unwind at this relaxed space with colorful cocktails and fantastic music. Embrace the refreshing sea breeze, inhale the saline air and tuck into ocean-fresh seafood here. 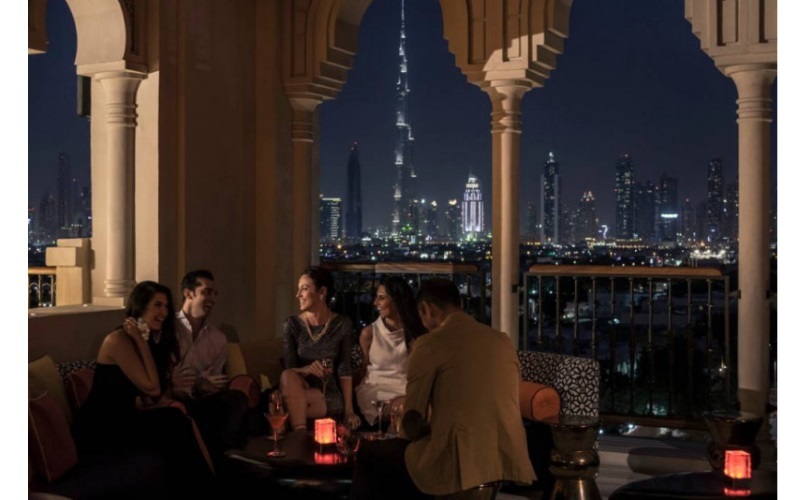 A destination restobar in old Dubai, mix things up with an al fresco night out at Cielo Sky Lounge. MenuPages.ae recommends: Dynamite shrimp, mixed seafood grill and the Cielo bao. Good to know: Bubble away on a shisha at Cielo. Choose from seven classic flavors. Perched on the 27th floor of one of the world's most iconic hotels, the Skyview Bar serves masterful cocktails with a side of majestic views. Reserve an evening at this lounge for special occasions – it's a surefire way to turn milestone moments into unforgettable memories. If you're looking for out-of-the-box gift ideas, the Skyview Bar offers personalized gift certificates. MenuPages.ae recommends: The Eyes Looking At Heaven cocktail and signature tapas. Good to know: A minimum spend of 370 per person is required between 7 PM to 2 AM. 43 floors above ground, DJ blasting chill out music, bartender whipping up cocktails by the minute – welcome to Level 43 Sky Lounge. 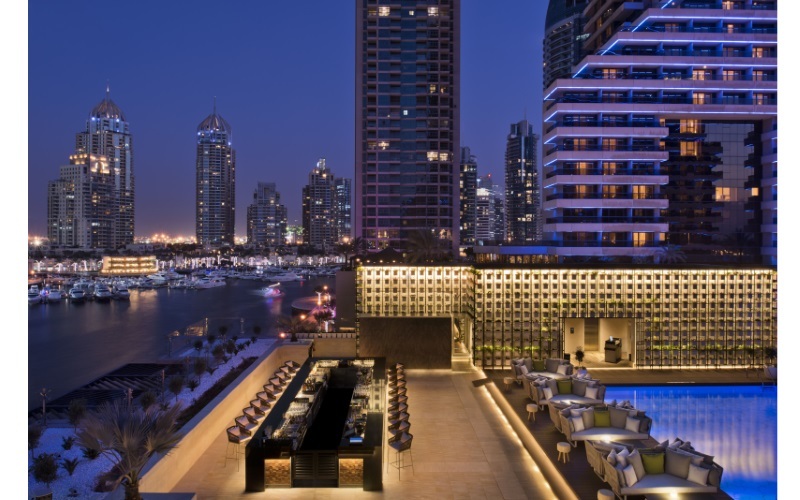 Soak up views of Downtown Dubai and the Jumeirah coastline from this chic evening lounge. Its 360 degree views are second to none, making it an ideal place to take tourist friends and family. Celebrate sunset with its Sundowner Special from 6 PM to 8 PM. MenuPages.ae recommends: Shrimp tempura maki, adana kebab and the Thai Me Up cocktail. Good to know: Ladies score two complimentary drinks every Tuesday from 8 PM to 11 PM. 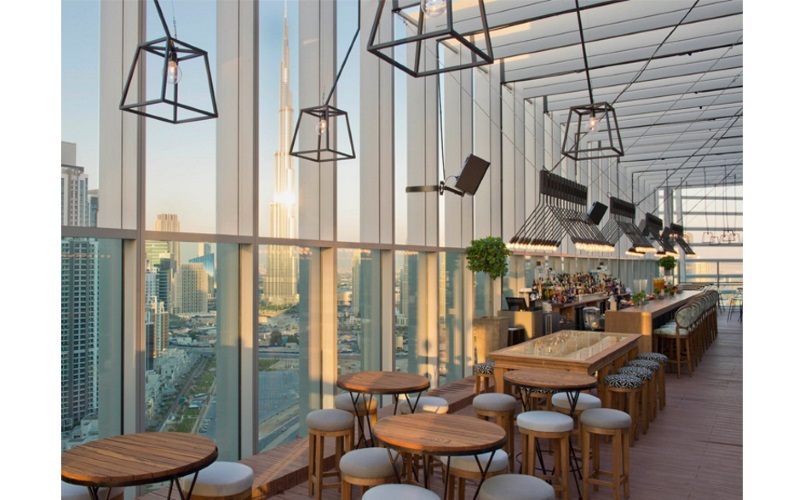 The brightest jewel in the Four Seasons Hotel's crown – the revamped Mercury Lounge stirs up Mediterranean vibes while offering gorgeous views of Dubai's twinkling skyline. A playground for social butterflies, it gathers the crème de la crème of Dubai's party scene. Mercury Lounge even offers private majlises for VIP guests to connect over fine food and drinks. MenuPages.ae recommends: Bonito carpaccio, figs and foie gras pastilla and the Cosmo of Rose. Good to know: Sip over the sunset with Mercury Lounge's exclusive Spritz and Martini menu along with a shisha on the side. Bringing Beirut's renowned party bug to Dubai, Iris is where the city's cool kids clink glasses. 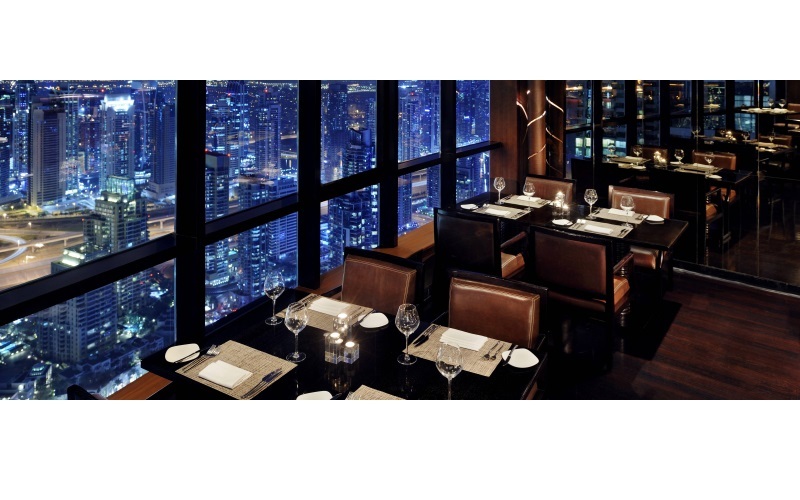 Roosted on the 27th floor, it serves up luscious views of Dubai by day and night. A sophisticated space, unwind with a specialty cocktail with colleagues or catch up with old mates over worldclass nibbles. And whatever you do – don't forget to enjoy the view. MenuPages.ae recommends: Iris Special Sangria, tuna taco and mini Iris burgers. Good to know: Bid adieu to the setting sun with 50% off selected bevvies and food. Located on the 52nd floor, The Observatory is a romantic retreat away from the city's hustle and bustle. Renowned for its grilled meat, its food is as promising as its view. The Observatory's social calendar is packed so guests can take their pick from two happy hours, a sky-high brunch, a ladies' night, an all you can drink draft night, a South American night, a lunch special and much more! MenuPages.ae recommends: Grilled seabass, truffles fries and the craft beer. Good to know: Given its popularity, reservations are highly recommended. The Jetty Lounge is a tropical paradise in the middle of the Arabian desert. Lap up the serene winter sea breeze at this idyllic beachside bar. 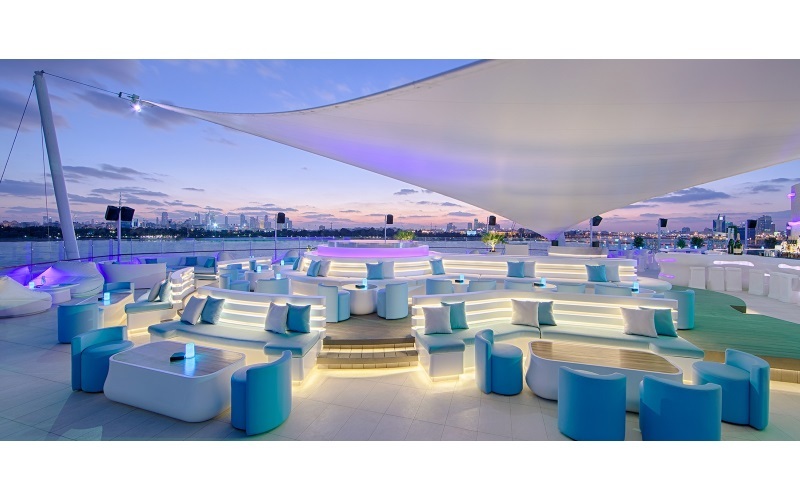 Unwind to light chill out and lounge music while catching up with friends and taking in a picture-perfect sunset. Be sure to steal a sip of the signature fruit and herb infused cocktails from its Endless Summer menu. MenuPages.ae recommends: Mezze platter, smoked fish and the Caraval cocktail. Good to know: Despite being seaside, smart casual attire is required. 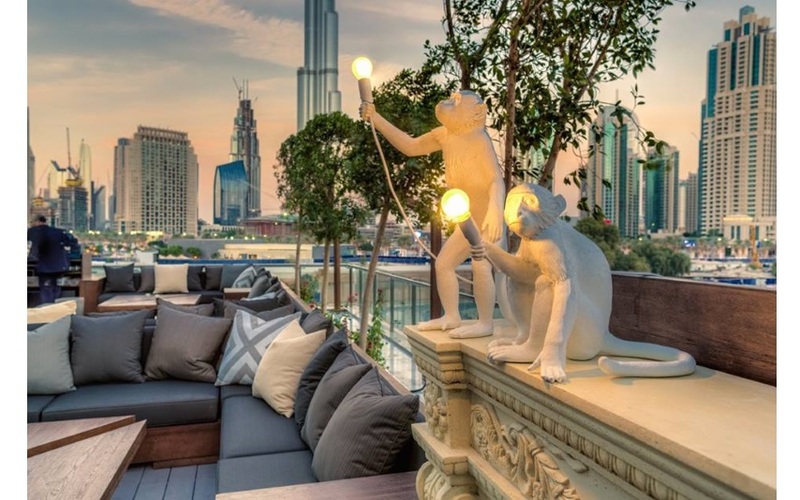 Soak up flawless views of Dubai's hottest districts from a single terrace. 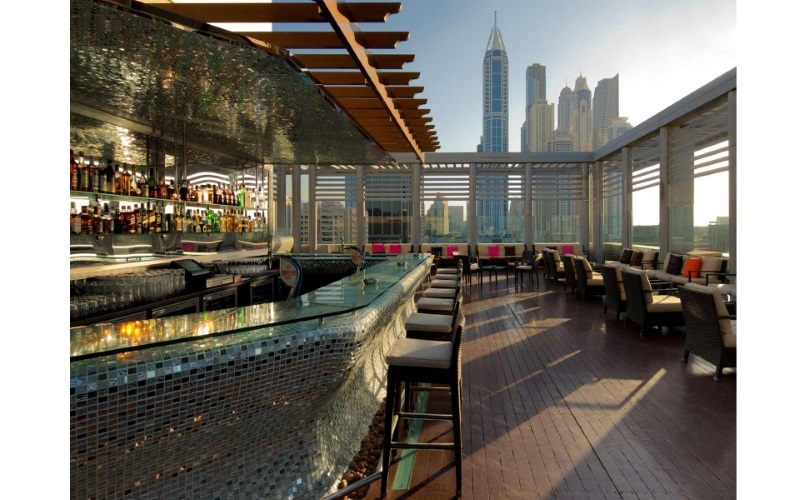 Siddharta Lounge by Buddha Bar offers 360 degree views of Dubai Marina, Palm Jumeirah and the Arabian Gulf. 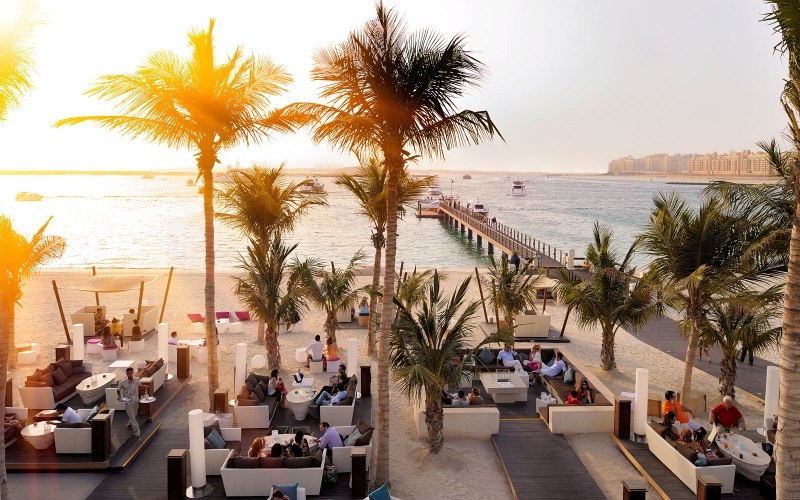 A destination bar for sunset seekers, the restaurant and lounge's drinks and nibbles menu starts from 35 dirhams. Siddharta Lounge's Gone For Sunset deal runs from 5 PM to 8 PM. MenuPages.ae recommends: Cheese board, sushi and cocktails. Good to know: Kick back to Siddharta Lounge's futuristic tunes with a shisha on the side. Treehouse looks like it's fresh off a Pinterest board. The exquisitely decorated terrace features touches that will make interior design enthusiasts weak in the knees. 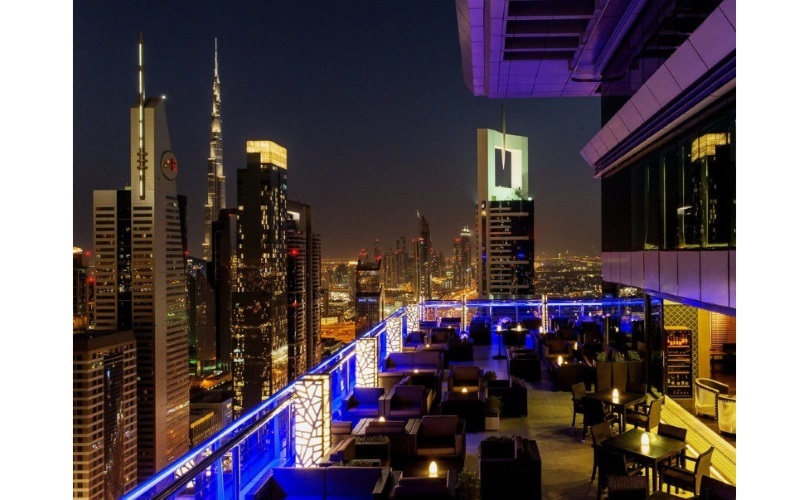 The luxury lounge is known for its bespoke cocktails and breathtaking views of Downtown Dubai. Great for shisha lovers, you can also find a variety of shisha flavors at Treehouse! MenuPages.ae recommends: Emirati fries, honey-chili beef and the Treehouse cocktail. 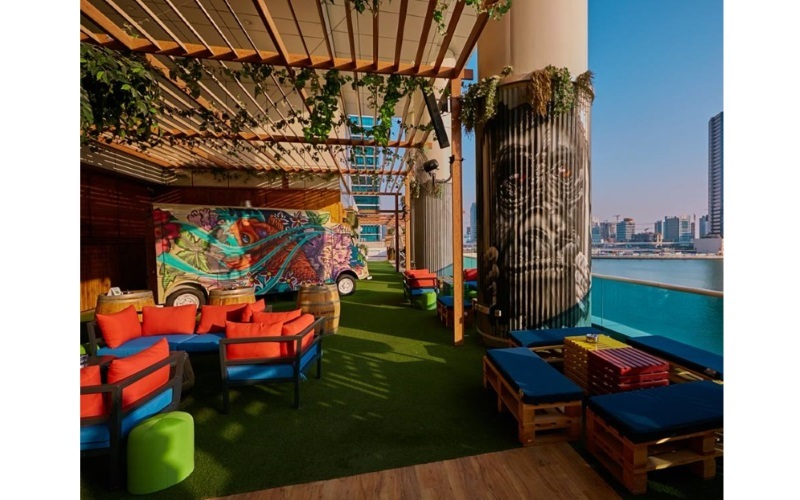 Good to know: Treehouse hosts an al fresco Friday brunch for 375 dirhams (house drinks). The place to be for Dubai Media City's worker bees, Tamanya Terrace's bar taps get put to thorough use. Offering commanding views of Media and Internet City, it's an ideal spot to catch the sunset while simultaneously catching up on work emails. Further sweetening the deal for media professionals, Tamanya Terrace does a 40% media discount on drinks every Sunday. MenuPages.ae recommends: Chargrilled beef, buffalo fries and the Coffee Cantara cocktail. Good to know: Tamanya Terrace serves shisha from 6 PM to 1 AM. The Scene offers sparkling views of the marina waters. The vibrant pub is an homage to chintzy British aesthetics. The space is a mishmash of patchwork armchairs and battered leather sofas. Its expansive terrace is perfect for al fresco winter dinner and drinks. Belly up with traditional British pub grub while people (and yacht) watching from The Scene's terrace. MenuPages.ae recommends: Veal scotch egg, chip butty and sticky toffee pudding. Good to know: The Scene's Breakfast Special is a steal at 29 dirhams! Kickstart your morning with two organic eggs cooked to taste, sourdough toast and a choice of coffee or tea. 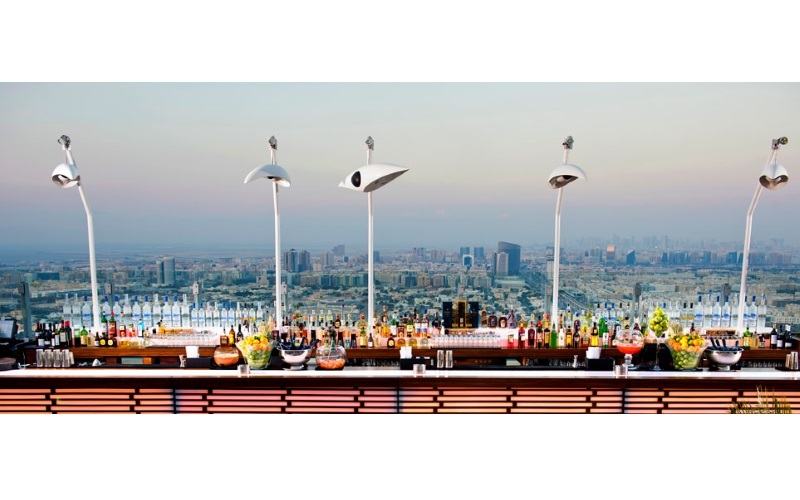 A destination rooftop bar, Luna Sky Bar is the brainchild of Adam Tihany. Let's put that name into context. Tihany is considered the originator of the title “restaurant designer”. 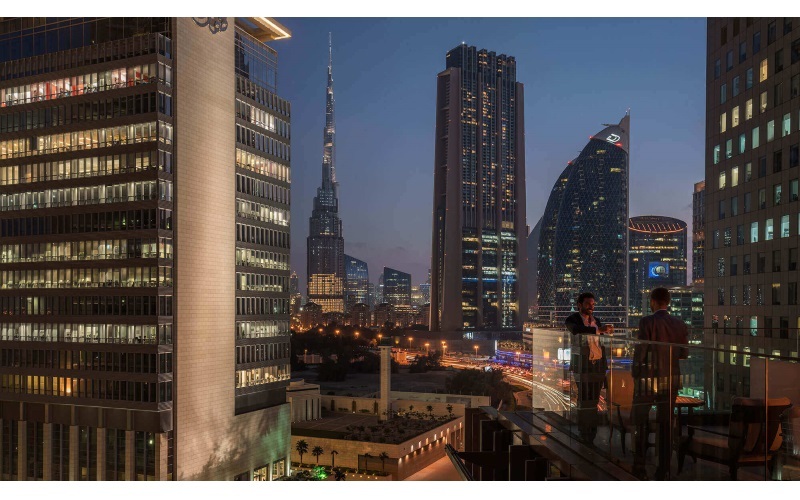 Located in the beating heart of DIFC, Luna is awash with Dubai's it crowd and stellar views. Its inspirational view lends itself to the creation of good cocktails and even better conversation. MenuPages.ae recommends: Luna sushi platter and glazed short ribs. Good to know: Luna has a premium shisha menu boasting 21 flavors. Milking its location to the max, 40 Kong opens its doors from sunset to sunrise. 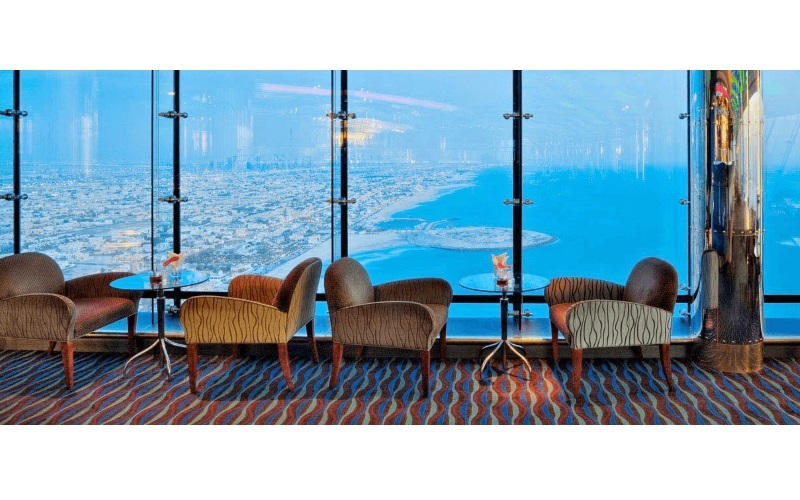 Offering panoramic views of Dubai, it's the perfect place to unwind with cocktails and nibbles. To ensure eager guests don't miss golden hour, 40 Kong's website lists when the sun is expected to set on any given day. Nestled on the 40th floor, we hope you're not afraid of heights! MenuPages.ae recommends: Salmon teriyaki, crème brulee and The Kong cocktail. Good to know: 40 Kong has received accolades for its music and nightlife scene.